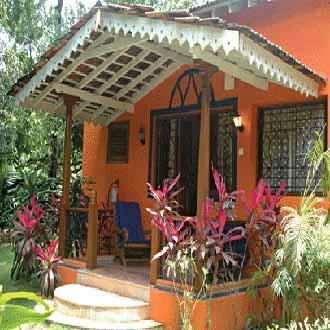 Nestled amid a lush garden, this 2 Star resort is situated in the quaint sea-side village of Anjuna. There are 22 air-conditioned rooms on offer. Guests can relax midst natural surroundings near the pool area, which is designed with an over-bridge. The in-house restaurant with a patio serves a multitude of cuisine, which includes Continental, Chinese, Indian and local fare. One can take a rejuvenating stroll across the garden space or relax under an umbrella.